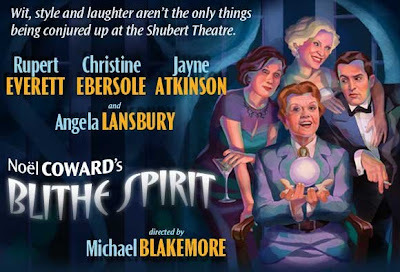 Adventures in the Endless Pursuit of Entertainment: Tonight: Opening Night of Blithe Spirit! Tonight: Opening Night of Blithe Spirit! With the critics loving Angela Lansbury, I'm sure you were in heaven tonight.